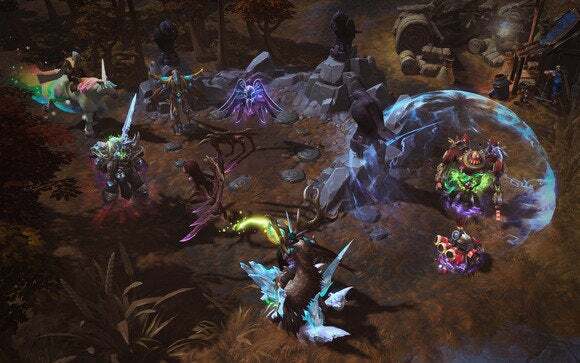 The world of multiplayer online battle arena games is becoming increasingly crowded, but Blizzard Entertainment is bringing the star power of its beloved PC game series—like WarCraft, Diablo, and StarCraft—to the fight in hopes of creating another hit and claiming victory over the likes of Riot Games’ League of Legends, Turbine’s Infinite Crisis, and Valve's Dota 2. 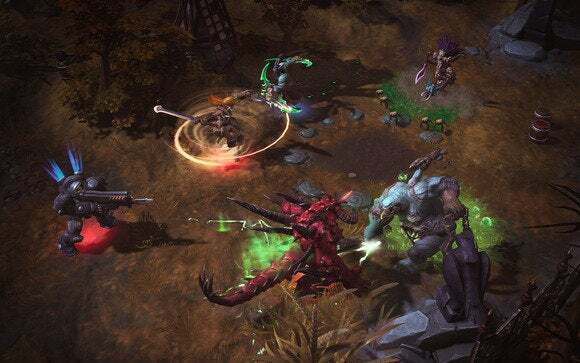 Blizzard Entertainment has seen its new MOBA game evolve over the past few years, at least in name. Heroes of the Storm has been shown at multiple BlizzCon events, each time under a different name. From Dota to Blizzard All-Stars to its current, and final, Heroes of the Storm, one thing that hasn’t changed is the focus on gameplay, art, and characters that span the entire Blizzard universe. According to Samwise Didier, art director at Blizzard Entertainment, fans have been able to play the game through each incarnation from its very inception as a mod. The original plan early on was to just show an example of the game tools that the team was using, so they made a cool map utilizing mostly StarCraft II art. Every image in this article can be enlarged by clicking on it. That decision to turn the mod into a full game opened up a lot of work for Didier’s team because they had to make unique art for it. The art posed a new challenge for Didier because the game incorporates characters from the Diablo, StarCraft and Warcraft franchises. Traditionally, each game team has had its own art design. “The most difficult aspect was finding a look for the game that could combine all of the universes together,” said Didier. “Diablo is arguably our most realistic, where the humans are a little bit more normal proportioned, it’s a little bit darker and a little more intense. Warcraft is the exact opposite. You have pandas running around and all kinds of crazy murlocs of superhero proportions where everyone looks like Mr. Olympia. StarCraft falls in the middle, where you have the big-proportioned characters, but a lot of that is because they’re either monstrous Zerg or Protoss [or in] space marine armor. The next challenge was choosing which of the characters from the three games would make the cut. 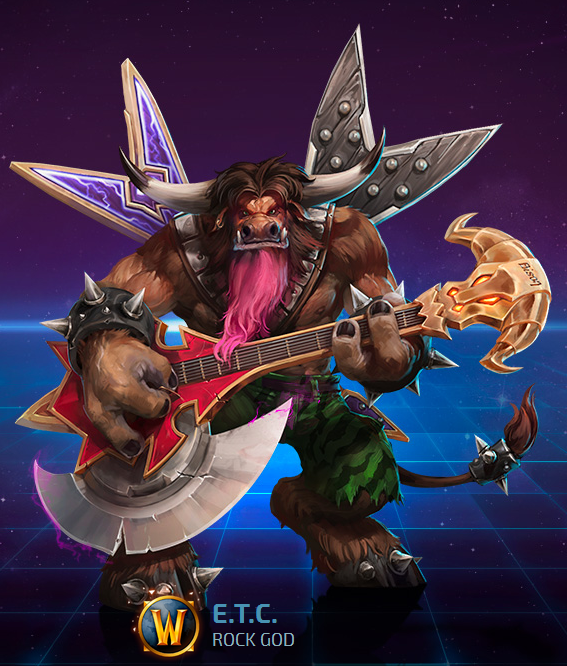 According to Phil Gonzales, senior artist on Heroes of the Storm, sometimes the team would pick the characters based on ones that stood out in the great cinematics. Other times they’d simply need a monster or a cute character or a character that’s really different. For example, Murky is a character that’s all about dying, but it’s about the persistence and the fact that he’ll be coming back very rapidly and constantly pushing. The needs changed on a day-to-day basis for the team, which always wanted to push things forward with and go with the flow of the game. 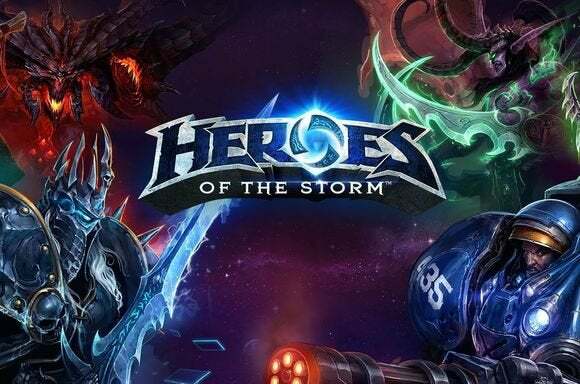 Didier compared the development process for Heroes of the Storm to his time working on Warcraft III because the team was coming up with things that were new to the franchise. And the end result, at least to date, has been similar, as well. Gonzales said the game’s talent system is very deep, whether it’s Arthas summoning Frost Wyrms or huge armies of the dead or Raynor bringing in the Hyperion or a fleet of banshees. All of these options are available to players to add to the strategies involved in MOBA battles. All of these characters, choices and maps should not only please Blizzard fans, but open up a lot of depth for the burgeoning eSports scene. Blizzard has had success with StarCraft II and has even attracted an eSports following with the card-based Hearthstone: Heroes of WarCraft. Now, Heroes of the Storm is set to challenge all competitors. Watch out, League of Legends.